Dr Matthew Nott, founder of Clean Energy for Eternity. Photo: Ian Campbell. A town that has championed grassroots action against climate change has perhaps fallen victim to it, according to a longtime greenhouse gas campaigner. Tathra resident and local orthopaedic surgeon, Dr Matthew Nott believes the bushfire that scorched his town on March 18 was supercharged by climate change. 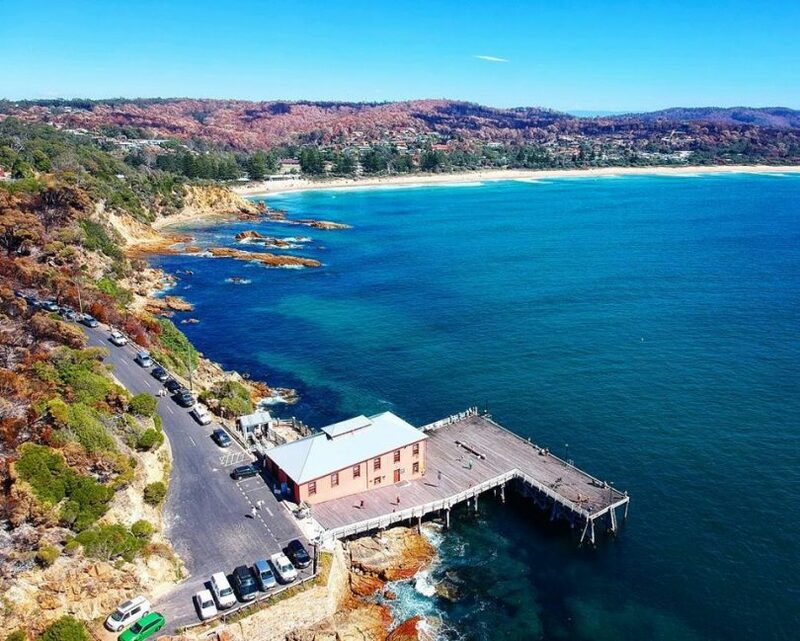 As the founder of Clean Energy for Eternity, Dr Nott and his group have been successful in raising funds over the last 12 years to install solar panels on all but one of Tathra’s community buildings – the one left is the Aussie Rules clubhouse at Lawrence Park, fundraising is underway now. 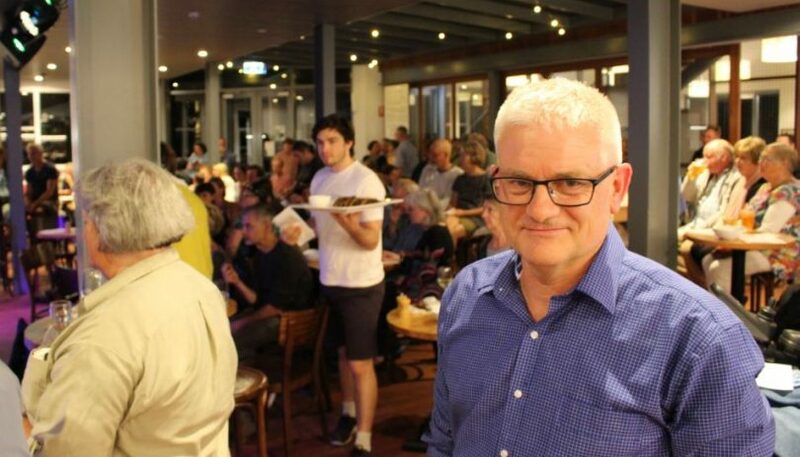 Speaking at Tuesday nights meeting of the Sapphire Coast Regional Science Hub at Tathra Pub, Dr Nott explained it was time to draw a link between the loss of 65 homes three weeks ago and the impacts of increasing carbon dioxide levels in the atmosphere. “I really understand the sensitivity of talking about climate change when friends of mine have lost everything except the shirt on their backs,” he says. A crowd of around 150 people, some of whom had lost their homes, listened on. “My answer to that is – we know the planet is warming, we know that south-east New South Walse is warming, we know that extreme heat days are becoming more frequent, and we know that the bushfire season is longer. “March was the seventh hottest month ever recorded in NSW, but the eighteenth (18th) of March was an extraordinary day,” Dr Nott explains. “It (March 18) saw the hottest March temperatures every recorded between Sydney and Eden, Sydney was over 40 degrees on that day. “You can’t say that this bushfire was caused by climate change but you can say that this kind of bushfire is going to occur more frequently as we get hotter,” he says. Tuesday nights pub talk was a clarion call for bush coastal communities dotted along the Far South Coast, towns like Tathra surrounded by bush with limited access in and out. “We’ve only just started to see climate change, it’s about to get a lot worse,” Matthew Nott says. The Bega Valley has heard Dr Nott speak many times, but this is perhaps the most strident they have seen him, and as he tends to do, the respected surgeon pointed to the solutions and opportunities. “How much more fossil fuel can we burn?” he asks. Pointing to data from NASA, Dr Nott suggested if fossil fuels continued to be burnt at their current rate (13 billion tonnes per year) the world would need to stop burning coal and oil altogether in 15 years time to stay under the 2-degree warming target set by the Paris Climate Agreement in 2015. Fundraising is underway to install solar panels on the Aussie Rules clubhouse at Lawrence Park Tathra. Photo: Matthew Nott. Closing the Liddell Power Plant in the Hunter Valley by 2022 is key according to Dr Nott as is shutting down the development of Queensland’s Adani Coal Mine. “If this mine goes ahead it will wipe out any attempt that Australia makes to reduce our emissions many times over,” Dr Nott claims. 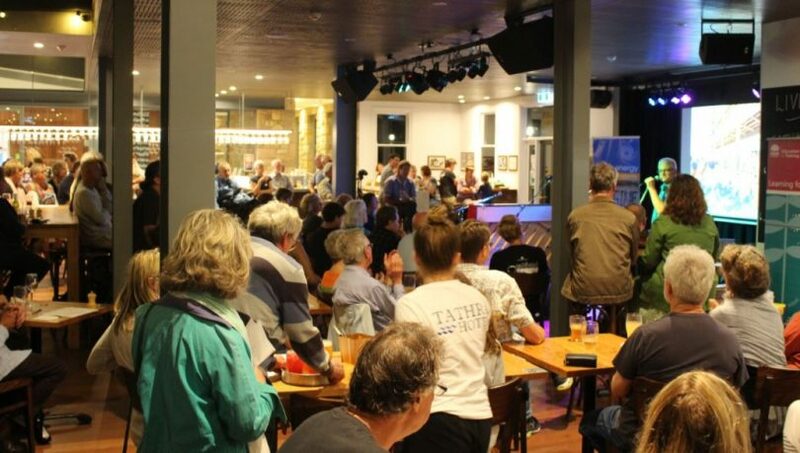 Around 150 people gathered for Science in the Pub at Tathra Pub. Photo: Ian Campbell. In closing, Dr Nott called on the community to continue to show leadership and action on climate change. Australia’s 305 surf clubs are the next aim for Clean Energy for Eternity (CEFE), solar panels powering lifesavers is the aim. 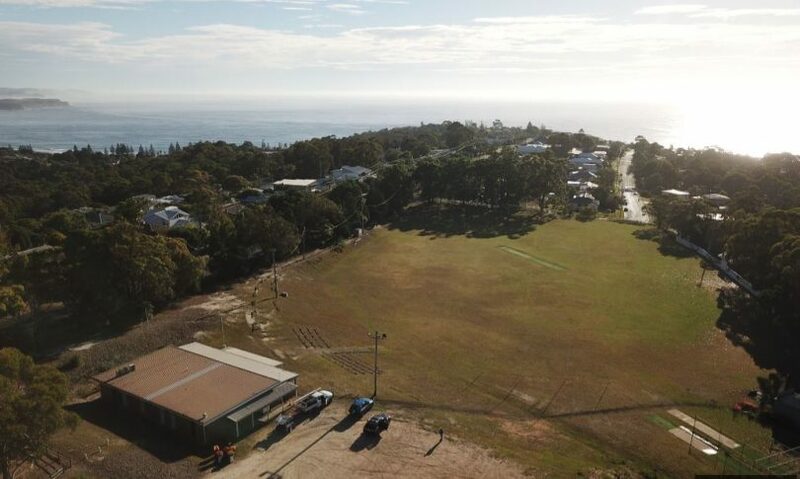 CEFE has already assisted Far South Coast clubs to go solar except one, the newly renovated Batemans Bay Surf Club at Malua Bay – donations are now open to help make that happen. “There is so much at stake, the way that this town has coped with the catastrophic bushfires is a testament to the strength of this community, we will rise above the fire and be stronger than ever, leadership on climate change is part of that,” Dr Nott says. 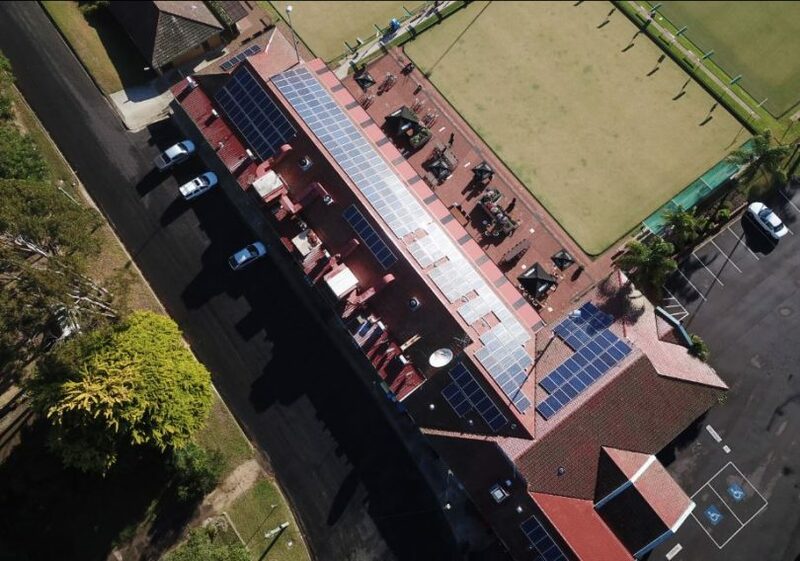 The new solar panels on top of Tathra Beach Bowling Club. Photo: Matthew Nott. I was in the area on the day of the bushfire and can say I experienced weather conditions totally out of character with what one would expect on the South Coast for that time of year. Same with conditions in Canberra today. The excess heat etc has been caused by a high pressure system that has built up across the inland parking itself over the top of us. Guess I will just keep picking ripened tomatoes, strawberries etc until it disperses. I am not speculating what has caused it, but do note that each month seems to be warmer and drier than the equivalent month over the last few years. I also notice that volunteer bush fire fighters are busier and busier. I was going to donate to the Tathra Bushfire Appeal, but as soon as I read this and heard that Tathra is “a town that has championed action against climate change” I kept my wallet well and truly shut. Stop this nonsense about “climate change”. It jumped the shark several years ago and is now seen as infantile, insensitive and grossly ignorant. He should have stopped there and it’s grossly insensitive to use this type of incident to further the arguments around climate change. The only thing that “supercharged” the Tathra bushfire were the very combustible houses built in it’s path. 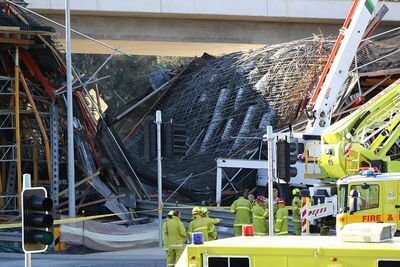 The situation was exactly the same as it was in some Canberra suburbs in 2003 where bushfires of the same intensity had passed through twice in the previous century. Nothing to do with climate change.